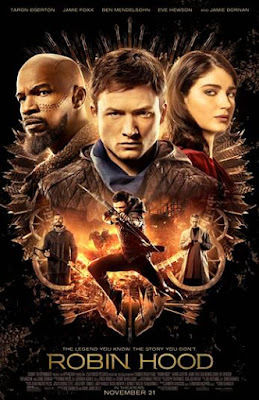 We're happy to offer our DC readers the chance to attend a free advance screening of Robin Hood, starring Taron Egerton and Jamie Foxx. Five winners will also receive a prize pack with exclusive merchandise from the film! The screening takes place on Monday, November 19th at 7:00pm at Regal Gallery Place. Please note, these are ADMIT-ONE passes only!! If you'd like to enter, send an email to punchdrunktrav@gmail.com with your full name, mailing address, and "Robin Hood Giveaway" in the subject line. Winners will be selected on Saturday, November 17th and notified by email. Good luck! Robin Hood opens November 21st.